The Tour de Romandie is a six-stage race in the French-speaking area of Switzerland that has established itself as one of the key events leading up to the Tour de France in July, as well as being a prestigious event in its own right. In the past decade, Bradley Wiggins, Chris Froome and Cadel Evans have all won the race directly before going on to win the Tour de France. Traditionally, the race features time trials, hilly, flat and mountain stages. Full details of the 2019 race route have yet to be released, but the 73rd edition of the race will commence with a time trial in Neuchâtel. We know that we can expect a short, sharp critrium in Romont on stage three, and that the conclusion will be a potentially GC shuffling time trial in Genève. The final analysis from the Tour de Romandie where Primož Roglič's took victory after finishing safely in the bunch on the final stage to Geneva. Primož Roglič finished in the bunch on the final stage of the Tour de Romandie to confirm his overall victory as Pascal Ackermann sprinted to the stage win. Jakob Fuglsang soloed away on the descent to Sion to win stage four of the the Tour de Romandie, as Roglič and Bernal battled it out for the GC. Omar Fraile sprinted to his second victory of the year on stage one of the Tour de Romandie as Primož Roglič moved into the race leader's yellow jersey. 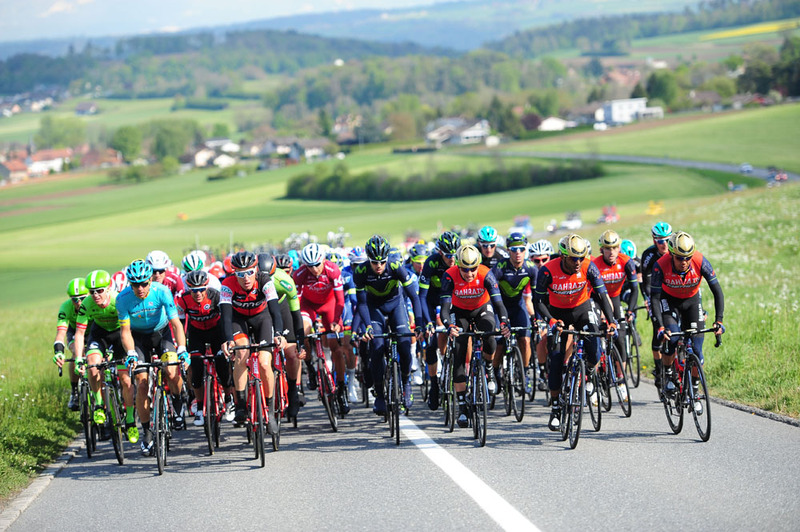 After a hard week of racing, the Tour de Romandie is behind us, but what can we learn from a race won by Richie Porte where Chris Froome seemed to struggle. BMC Racing's Richie Porte took second on the final time trial of the Tour de Romandie, which was enough to take overall victory ahead of Simon Yates. BMC Racing's Stefan Küng took victory from the break on stage two of the Tour de Romandie, as the stage is shortened due to low temperatures and snow. Organisers of the Tour de Romandie have taken the decision to shorten stage two of the race due to low temperatures and the risk of snowfall. Michael Albasini (Orica-Scott) took a home victory in the Tour de Romandie as he proved the fastest sprinter in a select group at the end of stage one.